● Use for T-REX 700XN/700X/700N/700E/800E. ● Brand new high rigidity and precise design with high end M4x8 hexagonal screw upgrade. No doubt it grandly strengthen the whole structure and bring much fun and free flight for pilots. 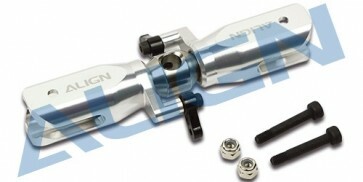 ● Must with 700 Torque Tube Rear Drive Gear Set (HN7042B). ● Not for Tail Blade Clips.